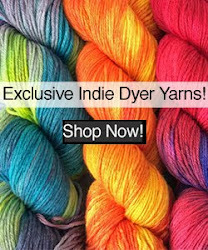 New designs featuring our yarns are just another reason to enhance your stash with all things yak in 2015! For those of you already dreaming of Spring, this new striped chevron design in our Himalayan Trail yarn is just the thing. The Spring Blossoms Cowl by Holly Priestly uses three colors of our hand-dyed Outlandish color ways, shown here in Jacobite, Lallybroch and Gloaming. Elizabeth Green Musselman from the Dark Matter Knits Podcast recently designed a one-skein wonder using our Lhasa Wilderness yarn. 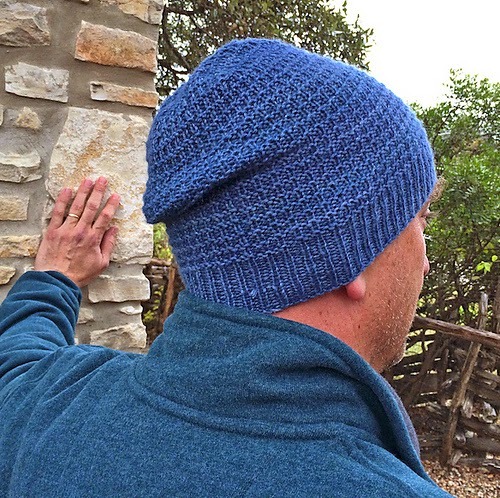 Shown here in one of our Outlandish colorways, Dinna Fash, the Aftershave Hat features a simple textured stitch pattern which lets the subtle variations of the hand-dyed color way shine. Click here to view pattern details on Ravelry! Also recently published by Elizabeth are these Hunting Gloves which are knit in our 100% yak sport weight yarn. This clever glove/mitten hybrid leaves the thumb and pointer finger free while the remaining fingers are snug in a modified mitten. 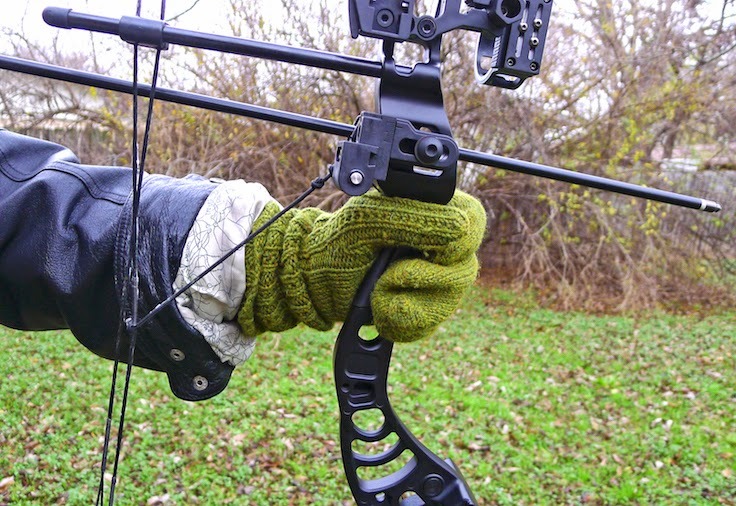 They are not only ideal for hunters who need the added dexterity, but can also be converted into "texting" mittens with the addition of conductive thread on the index finger. 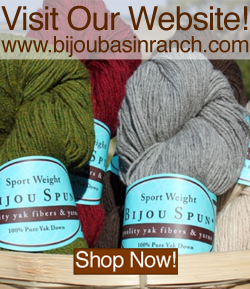 Click here to view pattern details on Ravelry; you will need just one skein of our 100% yak sport weight yarn to make even the largest size! We're also keen on the Outlander Argyle Socks, which are available as a kit here on our website. Each kit allows you to knit two pair of socks (one dark and one light) with our luxurious Lhasa Wilderness yarn. This pattern is a traditional-style Argyle sock which is knit flat using intarsia, as the characters of the Outlander series would have knit them. It's a great way to build your skills while adding to your sock collection in 2015! Last but not least, it's time to announce our giveaway winner! 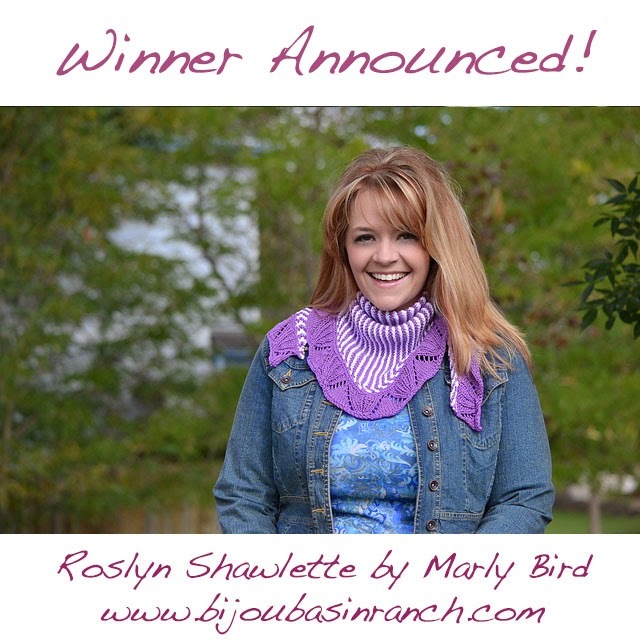 Congratulations to KatMacPet, who is the lucky recipient of a Roslyn Shawlette Kit! She said, "These little videos are amazing. I have been one of those customers standing in front of you at MDSW telling you how much I loved knitting up the fiber I bought last year, and that I'm back for more. Thanks for the videos." We'll contact you to arrange for the delivery of your prize. Thanks to everyone who entered our giveaway this month!